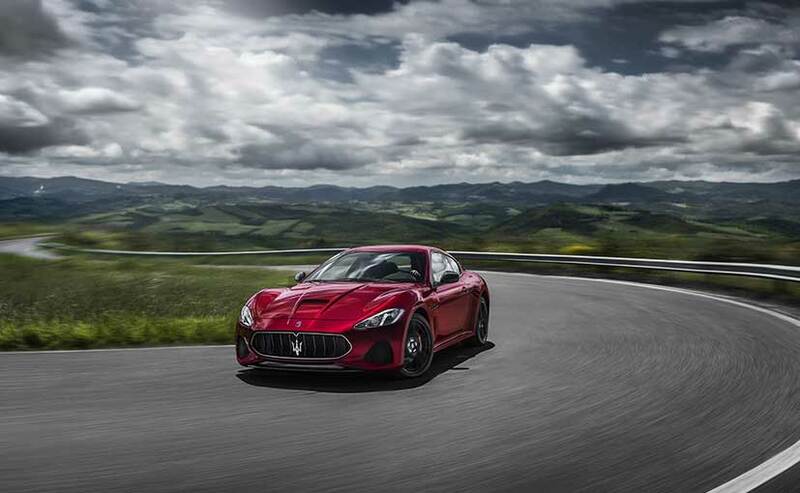 The new Gran Turismo is the latest Maserati designed by Pininfarina. The 2018 Maserati Gran Turismo is the latest Maserati which has been designed by Pininfarina. Maserati has launched the 2018 Gran Turismo in India at Rs 2.25 Crore (ex-showroom, India). The 2018 Maserati Gran Turismo is the latest Maserati which has been designed by the iconic design house- Pininfarina and was globally unveiled at the Goodwood Festival last year. The major design change on the new Maserati Gran Turismo is the new shark-nose hexagonal grille which is inspired by the Alfieri concept. At the bottom there are new air ducts which in amalgamation with the grille improve the airflow distribution and reduce aerodynamic drag to 0.32. While there hasn’t been made any substantial changes to the side of the car, the rear gets a new profiling for the bumper keeping it aligned with the GT coupe and cabriolet. 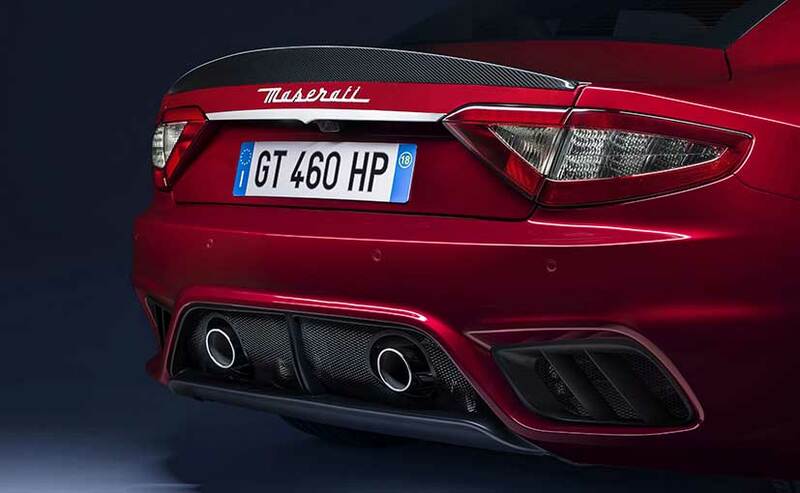 Moreover, the carbon fibre finished lip spoiler and dual exhaust pipes are retained. 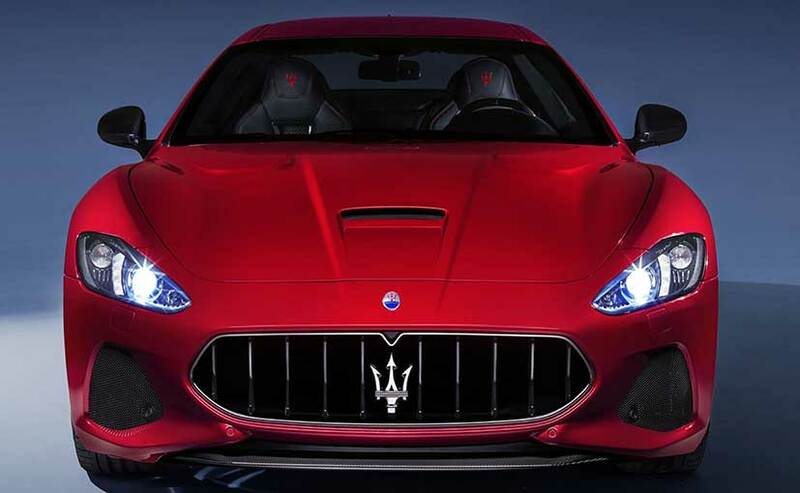 The major design change on the new Maserati Gran Turismo is the new shark-nose hexagonal grille. On the inside, the 2018 Gran Turismo is loaded with features like an 8.4-inch touch screen that supports connectivity features like Apple CarPlay, Android Auto and mirror link and is coupled with a Harmon Kardon sound system. The seats of the Gran Turismo are wrapped in Poltrona Frau and Alcantara leather and are finished with carbon fibre at the back. The central console also gets carbon fibre detailing and has been redesigned to house the double rotary dials which are finished in forged aluminium. The new Maserati Gran Turismo comes in two variants- Sport and the MC. Both are powered by a Ferrari sourced 4.7-litre naturally aspirated V8 engine that develops 460 bhp at 7000 rpm and 520 Nm of peak torque at 4750 rpm. This engine is mated to a six-speed Automatic gearbox as standard. Out in the market, the 2018 Maserati Gran Turismo will lock horns with Porsche 911 Turbo and the Nissan GT-R.